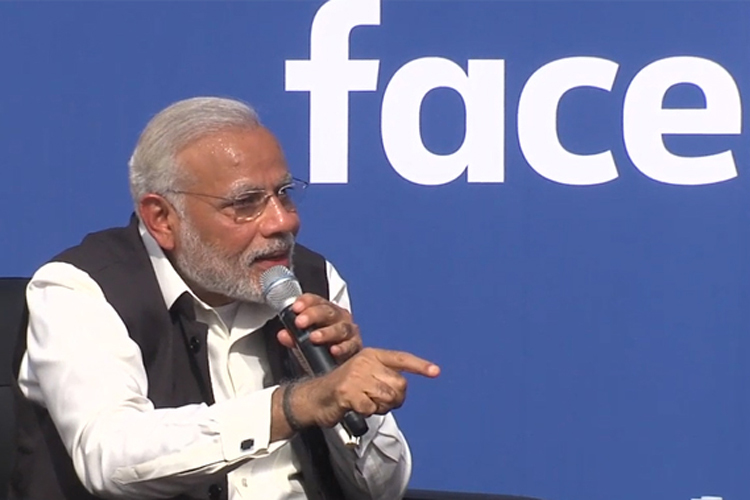 Prime Minister "gifted away" India's digital markets to Google, Facebook, Microsoft just for few hours of "glory"
A senior science activist has alleged that Prime Minister Narendra Modi, during his meetings with the top brass of Facebook, Google and Microsoft, gifted away digital oceans for "a few hours of glory". Associated with the Delhi Science Forum, Prabir Purkayastha has said, Modi will be providing "last mile connectivity" to these giants, and the “bulk of expenditure in providing Internet backbone will be done by the government”. An engineer and an expert in power, telecom and software sectors, Purkayastha says, all three giants will be allowed a “free ride on India’s Internet infrastructure”. Wanting it to be Internet to be a public utility, the Modi government, he adds, has decided for spend Rs 70,000 crore on National Optical Fibre network “for developing an internet backbone for the country on top of the existing infrastructure that BSNL and others." “Google will use RailTel – a fibre optic network that Indian Railways has built -- for its wifi installations in the railway stations, giving it access to this very large, existing fibre optic infrastructure, for its own use as well”, Purkayastha says. The ideas of author seems skewed.